How to Perform the Fork Bend Trick. The common reaction to any magic trick is for audiences to wonder, "How on earth did she do that?" You don't need a trunk full of expensive props to perform magic. Use a standard dinner fork to amaze people with your incredible strength and magical powers. Hold the fork so the tines point down and away from you. Grip the handle under your ring finger and over the little finger of your right hand with your palm facing you. Curl your remaining fingers around the fork. Place the top of your thumb against the top of the fork handle. Press the tines of the fork against a hard surface such as a table or countertop. Wrap your left hand around your right hand and place your left thumb next to your right thumb to fully conceal the fork handle. Keep your hands together, including your thumbs, and press down on the fork. Allow the handle of the fork to slide down along your right palm to achieve the fork "bend." Hold the fork in your right hand and run your left hand along the handle to "straighten" your fork again. 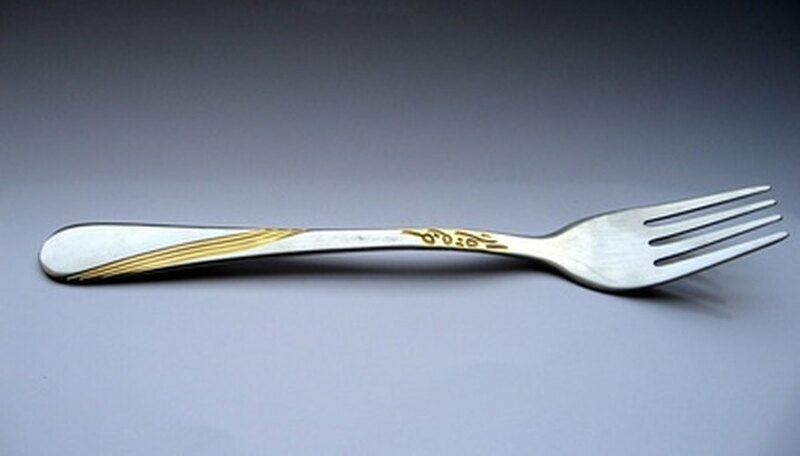 Present the straight fork for your audience to see. Use a solid fork for this trick. Make sure it's made from a material that doesn't bend easily. Pretend that you're exerting some force when you're "bending" the fork. Grunt or scrunch up your face to make your audience think you're trying hard to bend the fork.